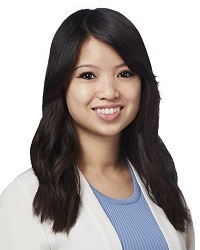 MinhTu Adle, MD attended medical school at the University of Texas Southwestern in Dallas, Texas and completed her residency at Baylor Family Medicine at Garland in Garland, Texas. Dr. Adle’s professional interests include providing a full range of primary care services with a focus in adolescent care, women's health, adult preventive services and geriatrics. In addition, Dr. Adle is fluent in Vietnamese and works closely with her patients to create a personalized care plan to maintain a healthy lifestyle using preventive medicine and patient education. Dr. Adle is a Rockwall High School graduate and is happy to be home serving her community. Outside of medicine, Dr. Adle is married and enjoys spending time with family and friends, traveling, reading, cooking, running and doing yoga. Read More About MinhTu Adle, M.D.